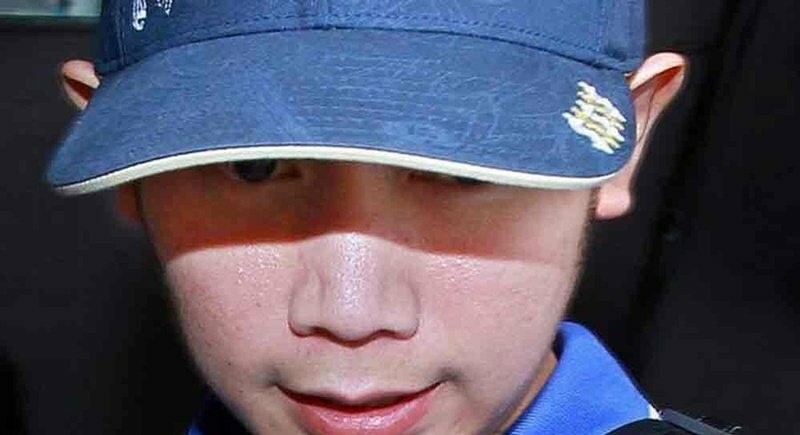 BANGKOK: Thai prosecutors today (Apr 27) vowed to seek the first arrest warrant for the heir to the Red Bull fortune after he dodged the latest summons to hear charges over a 2012 hit-and-run in his Ferrari that left a policeman dead. Worayuth Yoovidhya, whose nickname is “Boss”, was 27 when he allegedly smashed his Ferrari into a police officer in the early hours of the morning, dragging the body for several hundred metres before fleeing the scene of the crash. After Worayuth missed the latest summons today, prosecutors promised to request an arrest warrant, which has never been issued for the princeling. “If the suspect doesn’t show up by 4pm today, tomorrow (Apr 28) we will send a letter to Thonglor Police Station to ask the court for an arrest warrant immediately,” Prayut Bejraguna, a spokesman for the the Attorney-General’s office, told reporters. Prosecutors said they would also explore extraditing Worayuth, who has paraded his flashy lifestyle on social media over the years with frequent trips overseas. His lawyer has previously said Worayuth was on business in the UK and unable to return to Bangkok. A trail of debris from the accident led police to the Bangkok mansion of Worayuth’s super-rich clan, who own half of the Red Bull energy drink empire. Thonglor Police Station, which covers Bangkok’s most exclusive district, initially accepted the family’s claim that the housekeeper was driving the car. But the story fell apart and Worayuth was eventually hit with a string of charges – including causing death by reckless driving, which carries a maximum 10 year jail term. That charge will not expire until 2027. If an arrest warrant is issued, Boss-boy can be extradited. Meanwhile why hasn't Red Bull beverage been boycotted out of existence? Perhaps  Formula One Racing can be persuaded it is not in their best interests to continue a relationship ? Does arranging a boycott in Thailand constitute defamation? There's basically the root of all problems Thai. This guy simply can not bearrested anymore. To many brown envelopes 'passed' already. If this red bull kid get arrested, many brown envelopes has to return to him. But here is the 'problem', these brown envelopes are already empty, money spent. The whole justice scene now is becoming a soap opera. Kurt...it's like I keep telling you, his lawyers are using the law to it's fullest capacity. Nothing wrong with that. That this wealthy criminal can do what he wants is not surprising. He can do that because thai government justice system let him do what he wants. Is there any Government justice department official able to explain to me why someone who killed almost 5 years ago a motorbike police officer on a highway can ignore/insult thai Courts by not showing up/reporting in? Time to buy more brown envelopes.